The Oscar Awards this year will be as exciting as ever, but what excites me as much as drooling over the beautiful gowns and the excitement of cheering for my favorite movies is the news that Wolfgang Puck will be offering wonderful vegan dishes on the menu of the Famed Governor’s Ball. According to Ecorazzi, Wolfgang has made sure that everyone, including vegans and vegetarians, will have delicious food to eat. This will be the 20th year in a row that Puck is cooking for this massive event. Last year’s plant-based menu items included vegetable spring rolls, rosemary spiced nuts, edamame guacamole, Japanese baby peach salad, Chinese mustard dressing kale salad with grilled artichokes and lemon vinaigrette, lentils with cauliflower and baby vegetables, and for dessert shaved espresso ice. I’m salivating just thinking about this gorgeous spread. Seems like Anne Hathaway, Jessica Chastain, Joaquin Phoenix and sometimes-vegan Hugh Jackman must have been very pleased to be catered to so lavishly in 2013. 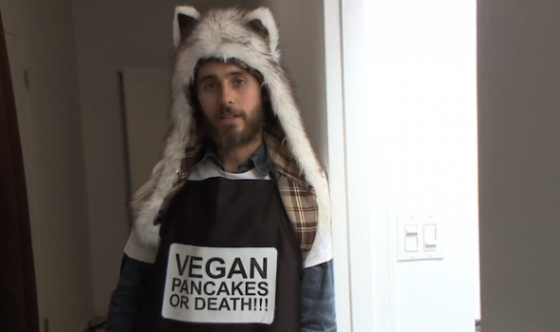 Jared, how about offering that crepe-like pancake recipe to Vegan American Princess? We’d love to feature it! Good luck on Sunday night! Your performance as Rayon in “Dallas Buyer’s Club” was nothing short of spectacular. Bravo to Wolfgang Puck for showing the world once again that vegan food food can be beautifully and deliciously prepared! Enjoy the show and make a vegan feast of your own to accompany it! We’ve got plenty of fabulous recipes for your Oscar celebration! To read more about how awards shows are quickly embracing vegan menus, check out my post about how Golden Globes Chefs Proudly Catered to Vegans! 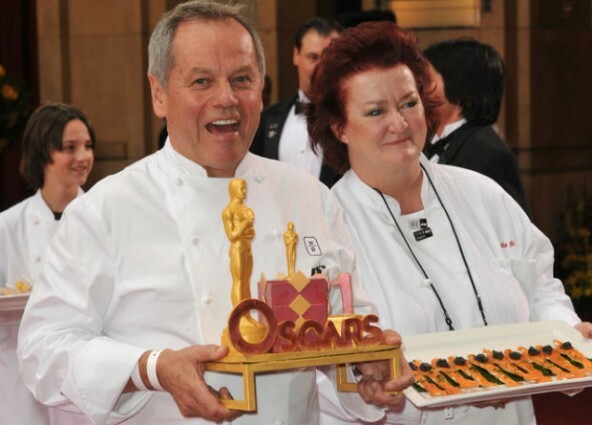 To read the Ecorazzi article about Wolfgang Puck and the Oscars, Click Here. To read more about popular musicians who are vegan, Click Here. 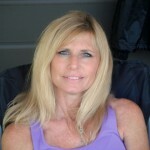 To read about vegan actors, click here. 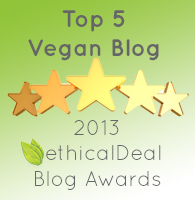 To read more about vegan celebrities in the news, Click Here. Thanks so much for reading and supporting us and this very important cause! It’s people like you that inspire us!